Welcome to our website! Please explore the numbered links above to find out more about us, our competitions and events, and what we get up to! Tea/coffee break about 11-ish – please bring your own mug! 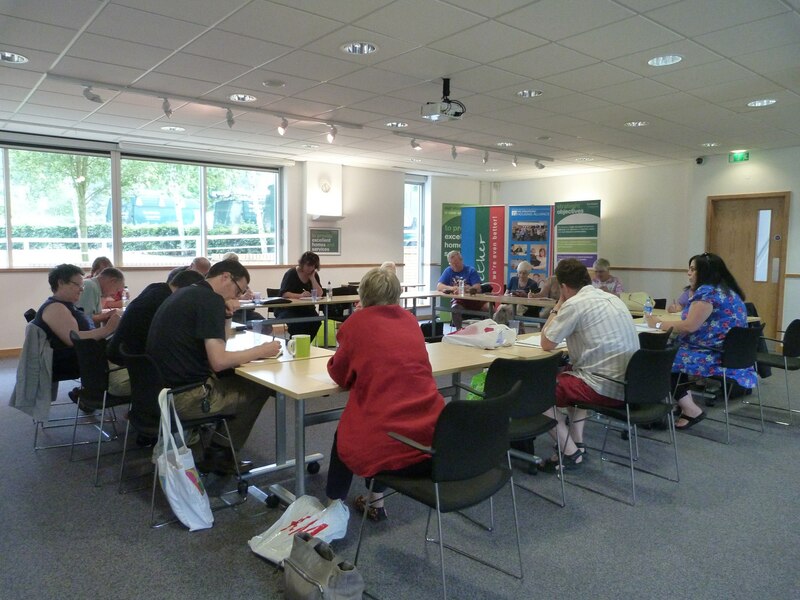 Wrekin Writers in action! Er … writing!